The data was added on ,	12 May 2017 read 523 times. Well-informed sources said that intensified infighting in Eastern Ghouta has caused two terrorist groups to decide to form a new coalition to fight with Faylaq al-Rahman, their former ally. The sources said that Liwaa Fajr al-Ummah announced that they are joining forces with Ahrar al-Sham to fight against Faylaq al-Rahman in Eastern Ghouta. The announcement by Liwaa Fajr al-Ummah came just hours after Ahrar al-Sham came under attack by Faylaq al-Rahman in the town of Arbin. Prior to the attack, Faylaq al-Rahman had warned Ahrar al-Sham to either join forces with them or face elimination – the latter did not respond to the demand. In relevant developments in the province on Tuesday, Jeish al-Islam in a statement announced that its forces launched a fresh round of attacks on rival terrorist groups in Eastern Ghouta. 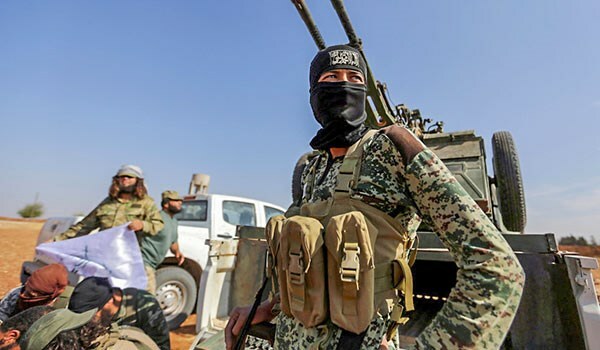 Jeish al-Islam’s statement said that after a halt in military operations against Tahrir al-Sham Hay’at (the Levant Liberation Board) a number of Tahrir al-Sham forces launched an attack on Jeish al-Islam’s positions with the participation of Faylaq al-Rahman. Jeish al-Islam accused the commander of Faylaq al-Rahman of providing weapons, shelter and equipment for the remaining pockets of Tahrir al-Sham. In the meantime, a number of militants were killed after a fresh round of clashes between Jeish al-Islam with Faylaq al-Rahman and Tahrir al-Sham in Eastern Ghouta.